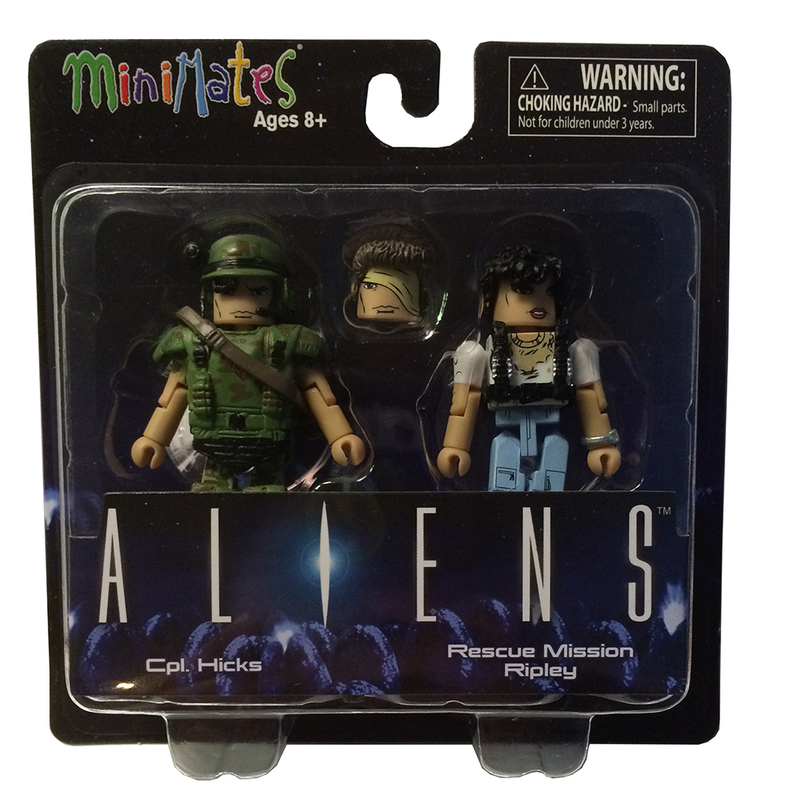 Wave 1 of the Aliens Minimates two packs has hit comic and specialty shops! 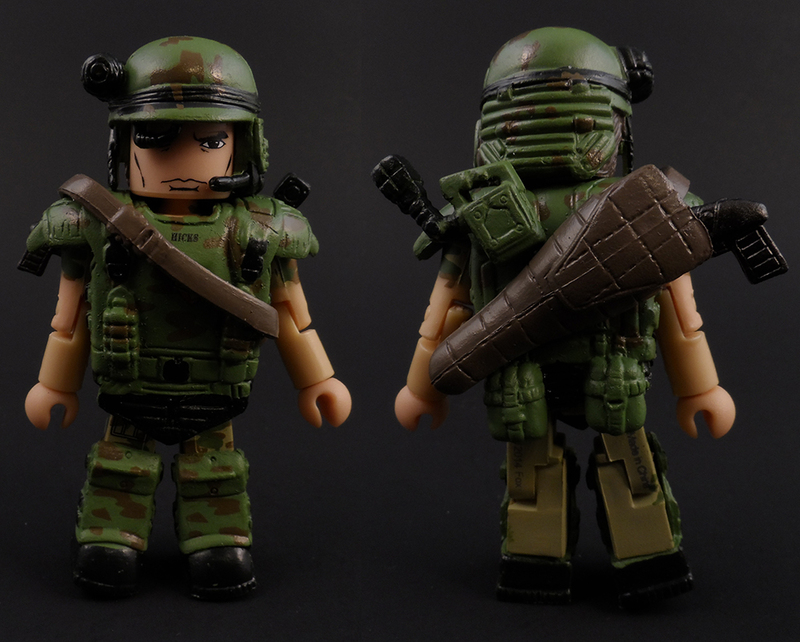 Today we’re looking at the last (and probably most wanted) set: Cpl. 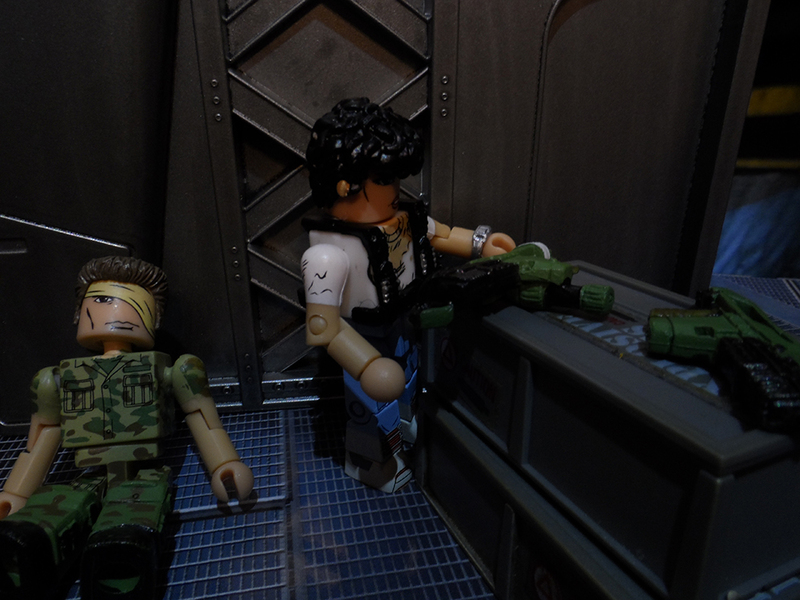 Hicks & Rescue Mission Ripley! 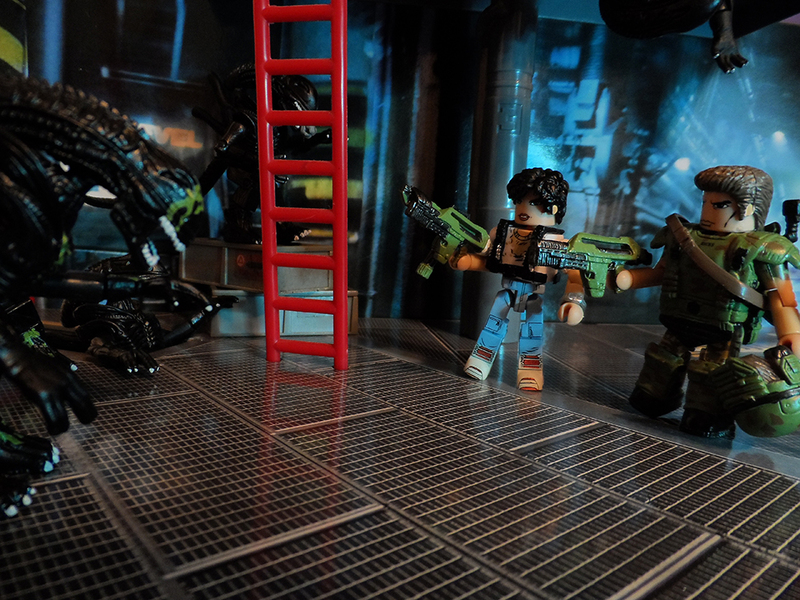 Starting off let’s look at the Rescue Mission Ripley. This would be when Ellen Ripley went back to find Newt after she was taken by the Aliens. 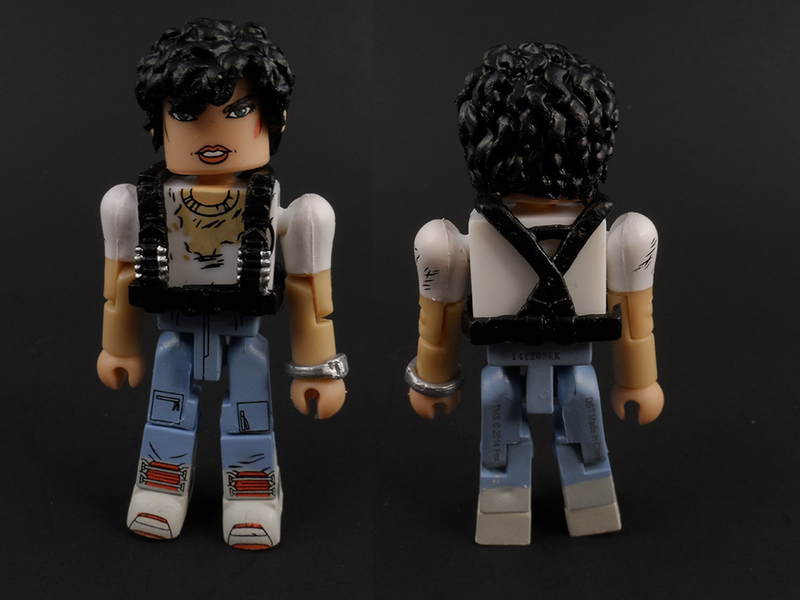 The hair piece works alright for the figure, though it doesn’t exactly capture how Sigourney Weaver’s hair looked in the movie. She’s got a stained shirt and a bruise on her face. 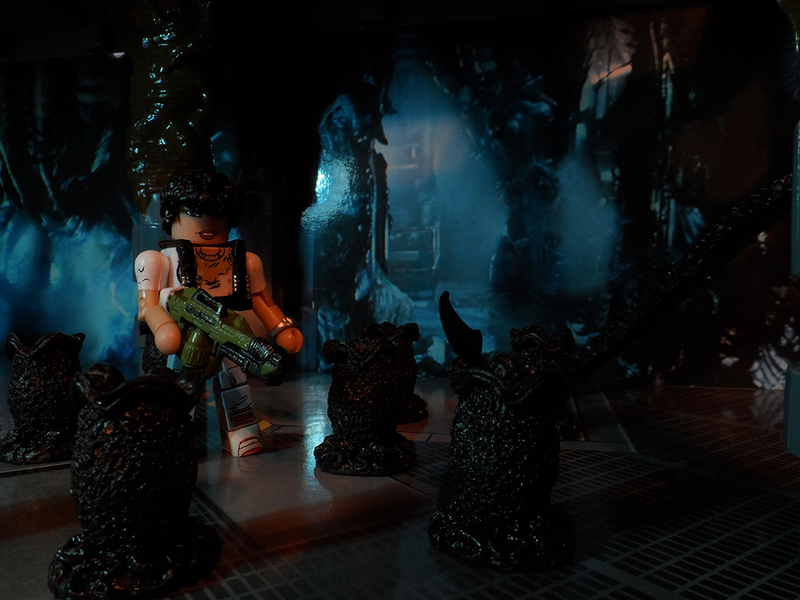 Ripley comes with a new weapon, the Pulse Rifle and Flame Thrower she tapes together. The dual gun is nicely sculpted and has a lot of nice detail. 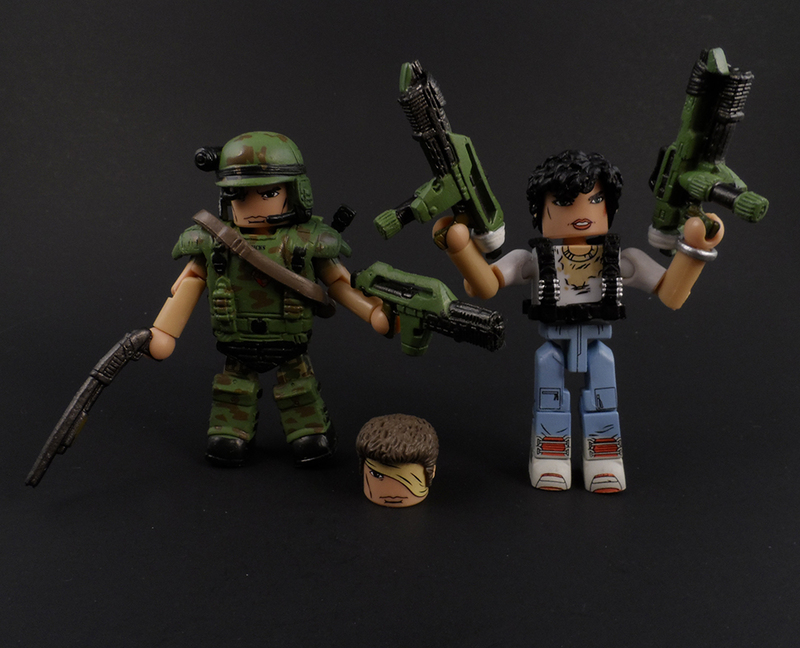 It appears the weapon was sculpted backwards though, It has the Flamethrower on the right and the Pulse Rifle on the left, however, looking at the movie, those positions are reversed. It’s a small detail that many won’t even notice. 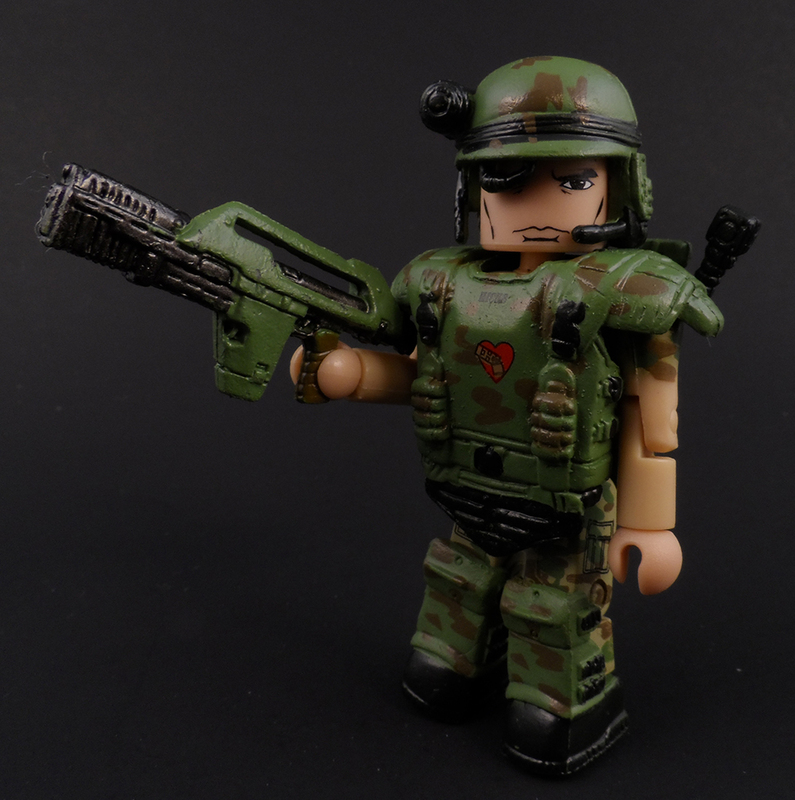 Corporal Dwayne Hicks comes decked out in the typical Space Marine Armor, with a special shotgun holster slung over his shoulder. 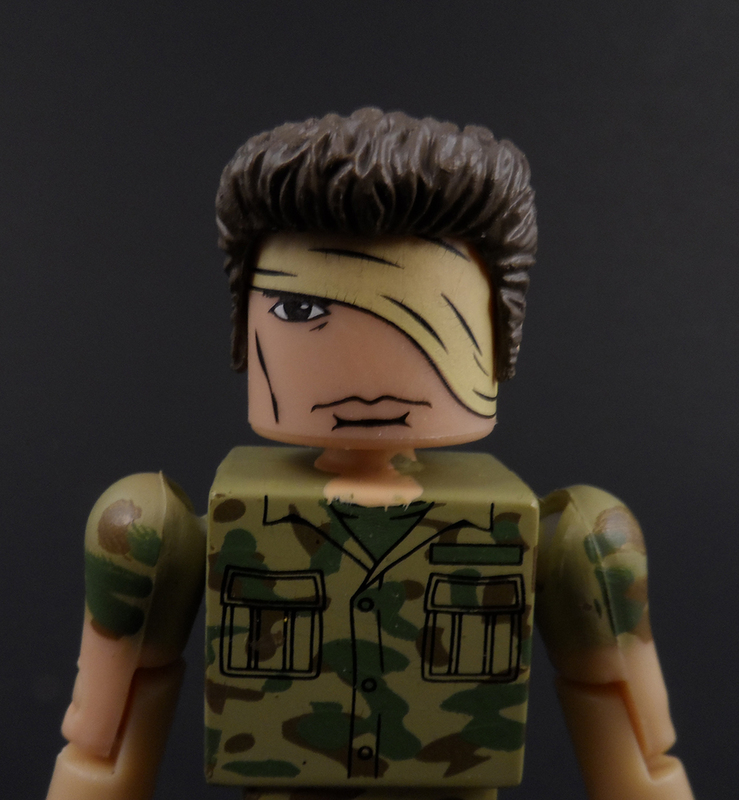 The unarmored look works with a spare hair piece. 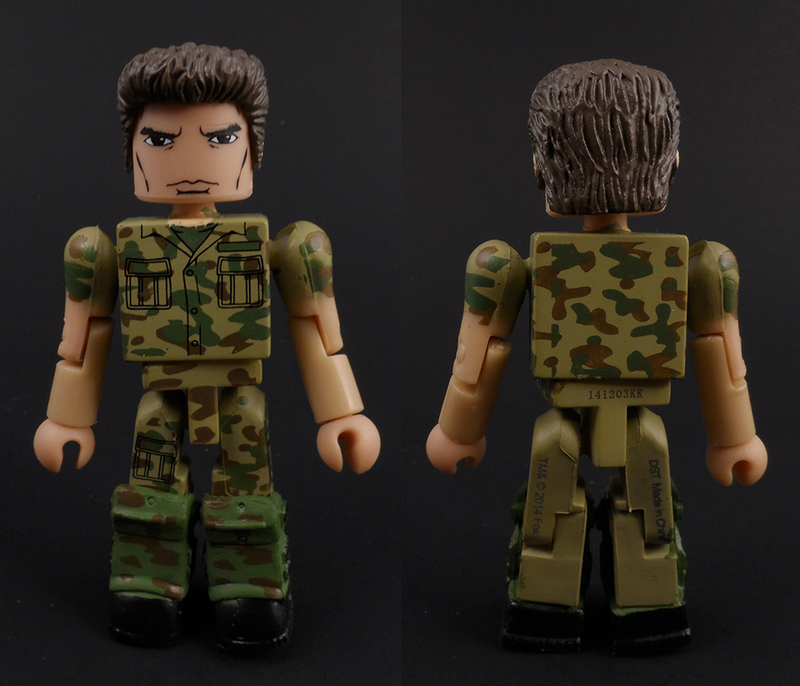 Also it should be mentioned that all of the Space Marines have camo patterns on their backs unlike Wierzbowski from the Dump Case who only had it on the front and sides. 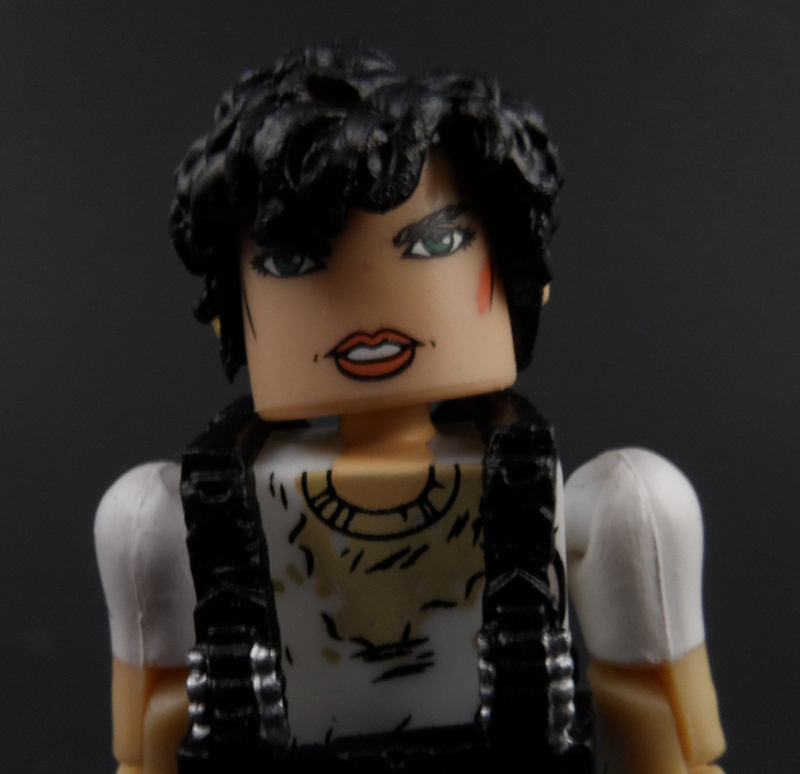 Hicks also comes with a spare bandaged head for after he get’s splashed with acid blood. 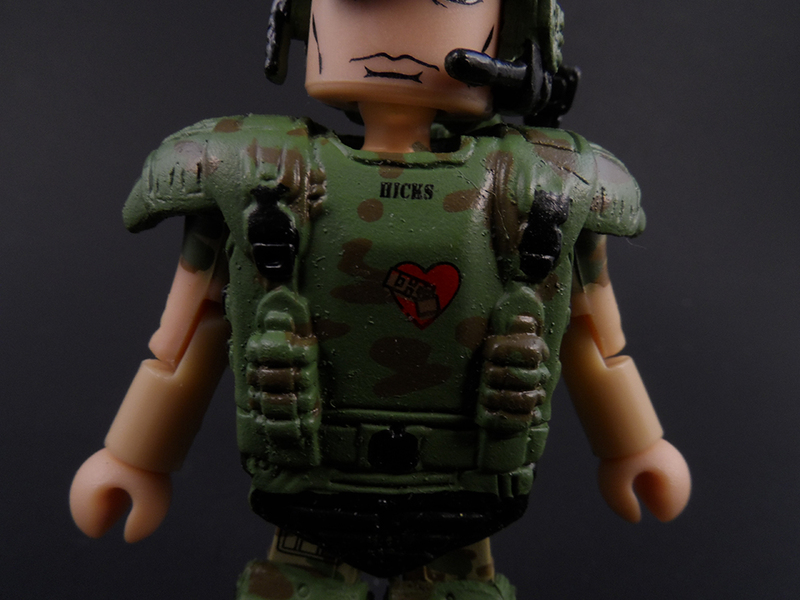 I really like the addition of Hicks’ heart tampo on his armor and like the other marines, his name is near the collar. This set is the one everyone is going to want. 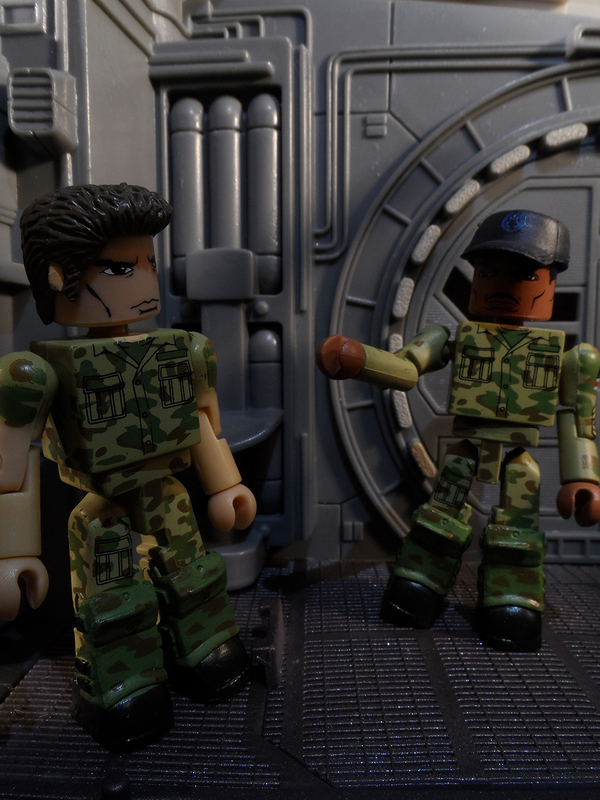 You not only get the two main heroes from the movie, you get them in their iconic appearances. 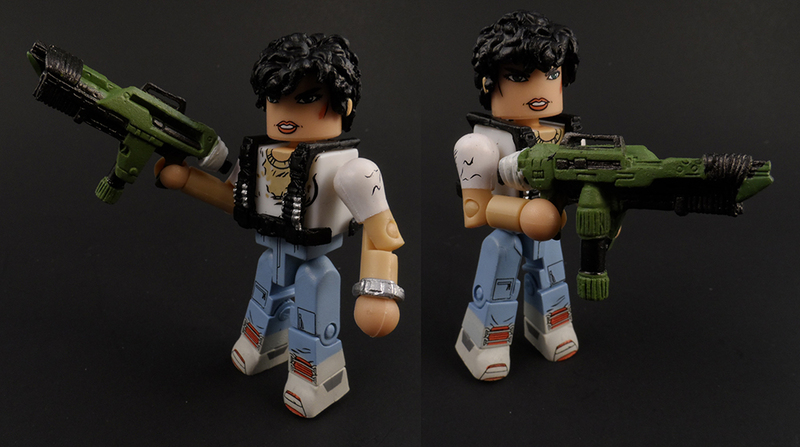 The set comes with a lot of parts too, there are two of Ripley’s modified Pulse Rifle/Flamethrowers which are supposed to be for both Hicks and Ripley, but she needs to have more, besides, Hicks already has two of his own weapons. 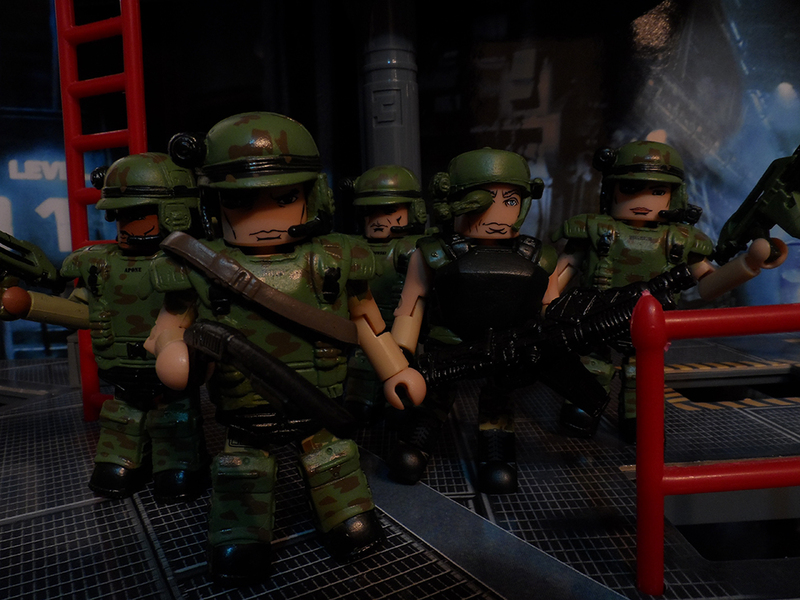 The few minor issues I pointed out earlier really aren’t much of anything in the bigger picture, this is the main set from this wave to get. 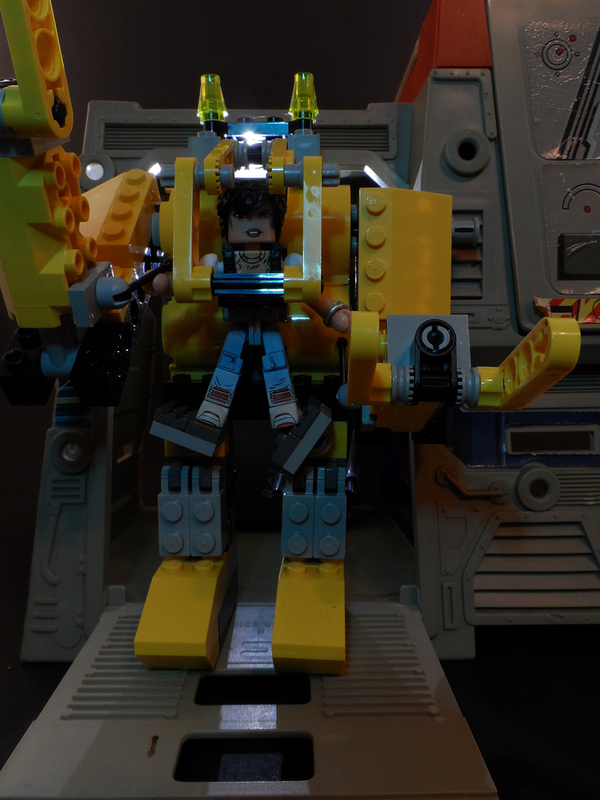 Also this Ripley is perfect for the Lego Power Loader I made when I first heard about this line of Minimates. Bonus! 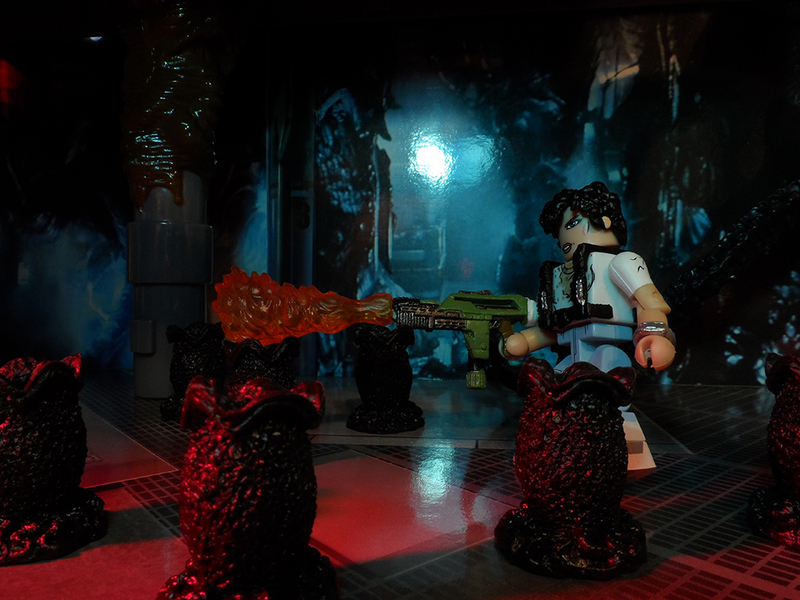 It appears that the flame attachment from the Alien Box Set was molded to be able to fit on both the thin barreled Flamethrowers from that set and the blocky barreled Flamethrower from this set! 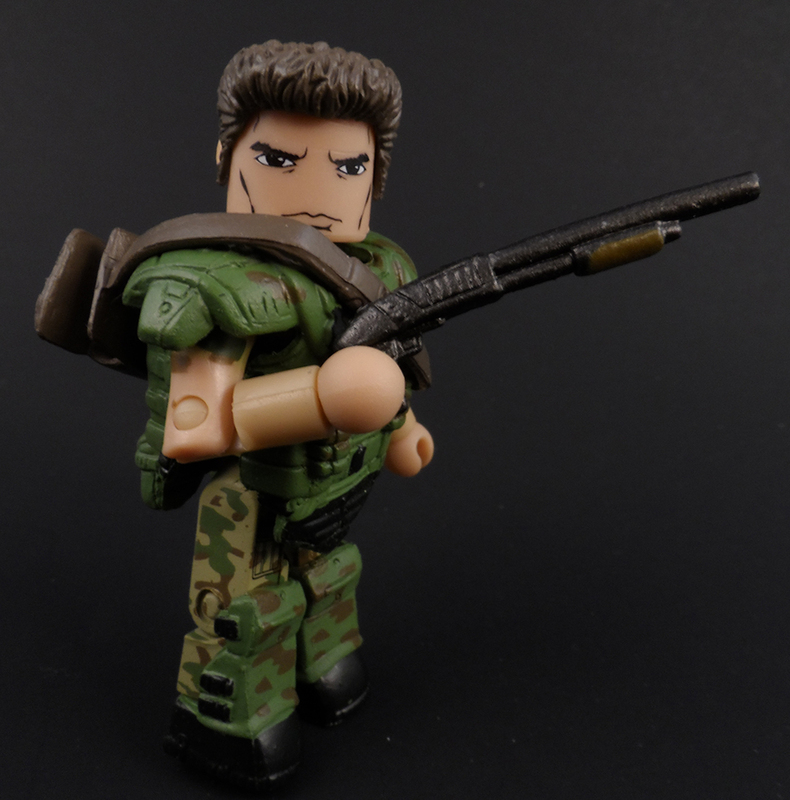 In fact the flame attachment seems to fit better on this weapon than it did on the Alien Box Set weapon.